This column is dedicated to providing updates from the American Society for Metabolic and Bariatric Surgery (ASMBS) Foundation, focusing on what the foundation is working on and its future programs. The American Society for Metabolic and Bariatric Surgery (ASMBS) Foundation recently revitalized and re-energized the organization from the ground up. The first step was to hire a professional consultant to assess the strengths and weaknesses of our current strategy. Armed with her recommendations, the foundation is in the process of hiring a professional fundraiser to help our board and staff take stock of our current resources and create a new fundraising plan. The foundation has two main fundraising programs: the Walk from Obesity and the LEAD Awards. 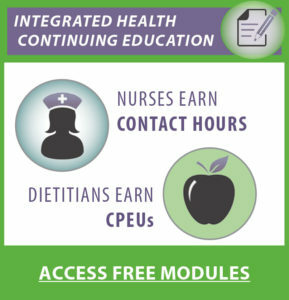 Through these programs, the Foundation is able to support the following three key focuses of its mission: 1) impact continual improvement in patient care and optimal outcomes through ongoing research and continuing professional education, 2) increase public awareness on the risks of obesity and the spectrum of available treatment, and 3) improve access to care so everyone who needs treatment for his or her obesity has access to treatment. The foundation gives two $25,000 research grants to ASMBS members to research and study specific topics within the field of obesity and bariatric surgery. This year, the foundation will also be able to provide a third grant with a contribution from Dr. Stephen Scott and his family. The funds from this donation will be used to research cancer in relation to obesity. We are proud of the difference we have been able to make for people with obesity through your generous contributions. The ASMBS Research Committee is in the process of determining the 2018 grant recipients whom will be recognized at the foundation’s annual LEAD Awards ceremony during ObesityWeek 2018 in Nashville, Tennessee. Advancing patient care through education is a cornerstone of the ASMBS and is important to the mission of the ASMBS Foundation. To date, the foundation has given over $500,000 to support metabolic and bariatric educational programs, including the ASMBS Essentials of Bariatric & Metabolic Surgery app, and the ABS/ASMBS Fellowship Curriculum Pilot Program’s Objective Performance Data App. The foundation believes that by supporting educational programs that provide the most recent medical studies and cutting-edge practices that we are helping to make advancements in understanding obesity and how to effectively treat this disease. Increasing the public awareness and understanding of obesity is critical to the foundation’s mission. Through the Walk from Obesity, the foundation is able to reach thousands of individuals each year and share with them educational resources and information pertaining to obesity, prevention, and treatment. The walks are great fun, and together we can all make a difference. To register or sponsor a walk in your area, or to learn more about how to host a walk next year, visit our website at www.WalkfromObesity.com. No one should be denied access to treatment for obesity. It is part of the foundation’s mission to make this a reality for the many patients who are denied access to obesity treatment. We proudly work side by side with the ASMBS to make a difference in patients’ access to this treatment. Since 2008, the ASMBS Foundation has worked with the ASMBS and Chris Gallagher, President of the Potomac Currents, LLC, a Washington, DC-based consulting firm. Chris has worked closely with the ASMBS’s Access to Care Committee and has helped ASMBS leaders and members become better advocates for their patients before both federal and state policymakers. Securing American Medical Association (AMA) recognition of obesity as a disease in 2013 and adoption of subsequent AMA policy supporting patient access to all obesity treatment avenues, including bariatric surgery. • Establishment of the ASMBS State Advocacy Representative (STAR) Program where ASMBS members serve as a scout for the national organization and their ASMBS state chapter, advocating before their state legislature and regulatory agencies to promote comprehensive coverage of obesity treatment services. • Securing passage of policy statements supporting coverage of obesity treatment services by the National Council of Insurance Legislators and the National Lieutenant Governors Association. • Complete mapping of bariatric surgery coverage and discriminatory benefit language in every state essential health benefit benchmark plan across the country. • Strong participation in monthly advocacy days on Capitol Hill resulting in nearly 1,000 meetings with congressional offices and key regulatory agencies. • Creation of the ASMBS Political Action Committee “ObesityPAC” to provide ASMBS members with greater access opportunities to educate federal and state policymakers about the mission of ASMBS and its foundation. The ASMBS Foundation is hopeful that the next 10 years will bring even greater recognition of obesity as a disease, the remarkable benefits associated with bariatric surgery, and the profound impact of this surgical intervention on both physical and mental health. To learn more about our advocacy efforts, be sure to read the society’s monthly advocacy update at https://asmbs.org/articles.